Personally exclusive but publicly exuberant, Porsche set an eternal benchmark for high-speed individual driving in prestigious style. Let it roar. Floor it. And don’t forget frequent care above manufacturer’s recommendations. Baby it but drive with intent. Garaged Porsche models driven with a tender-toe are prone to engine problems. Our family relies on in-house machining for accurate Porsche engine replacements. We streamline our business model bringing along superb Porsche engines at very low rates. Sharper Edge Engines has provisioned the finest used engines for more than a quarter century. So, when it comes time to replace that engine, we are the best source. 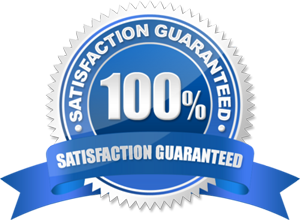 Our impeccable service binds it with a 100% money-back guarantee. It is possible to buy a used Porsche engine with historical low miles at phenomenal rates and a warranty. Be certain to have your Porsche vehicle identification number and potential freight addresses. If you have questions about ordering Porsche engines or you are servicing more than one vehicle, call and discover our unique position. 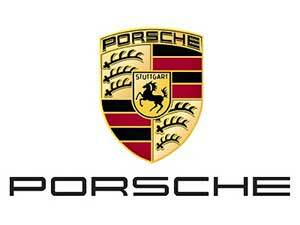 You get FREE multiple quotes with fast service and FREE out-bound shipping on any rebuilt Porsche engine. You need look no further. Call the number below. We recommend housing it for preservation of eternal beauty and safeguarding interior. When the time comes for a reliable Porsche engine replacement, Sharper Edge Engines is the source. Speculation abounds that Porsche 911 engines maintain a failure rate of, at least, 20% and the number one reason is from IMS bearing failings. Owners blame Porsche, not the car. Porsche amended IMS bearing weaknesses in later model designs for post 2008 production. We concur with many that gentle driving a culprit from American roadway restrictions, no doubt. Some failures require engine replacement. When it is necessary, the following is important: . • hand/visual inspection of known elements. This ensures trusworthy redistributions. Most after-market auto parts distributors don’t bother. To others it is not a remarkable engine without need of proper discernment. Sharper Edge Engines behaves uniquely for remanufactured Porsche engines and your investment. More than twenty-five years experience provides generously low prices on esteemed engines. The engine needs more. Much more. The Porsche is a racing dog with pent anxiety needing release. Screaming over paved German autobahnen passing camouflaged aircraft hangars in nearby thickets was the original design intent. Not much as changed over sixty years of Porsche engine production. Safe and legal arrangements are required for your engine to blister at high speeds, if only occasionally, minus the aircraft hangars.If you’re looking for reliable engine replacement or a used transmission for your Porsche, you can safely acquiring it from Sharper Edge Engines. You can count on it. Many varieties emanated from Porsche 911 engines and include all-wheel-drive, rear-wheel drive, 4-wheel drive; some include forced induction and Turbo versions. Other variances include normally or naturally aspirated models. Some designs boast 300 brake horsepower. Critical variances identified through vehicle identification number issued at time of Porsche model production as well as authenticated vehicular histories and individual inspection. This is even more important in GT design variances and discernment between three cylinder and four cylinder Porsche engine models. PS ratings alternate between 320ps at 6,800 rpm and 483ps at 5,700 rpm with dry or wet-sump technology. How can we help find what you need?